We pump, install, clean, service, and monitor grease traps. Each restaurant has a different size and type of grease trap. Some restaurants may have a small grease interceptor under the sink or dishwasher. If your restaurant kitchen sink or dishwasher stops draining, there is a good chance that the grease interceptor is stopped up. Elvis can respond quickly 24/7 to clogged sewer and grease trap pipes and pump them out immediately. We then offer scheduled and routine grease trap pumping and cleaning so you don’t have to worry about lining up the grease trap pump out. A grease trap is a tank or containment system that prevents your kitchen grease from reaching your local sewer system. All of your restaurant kitchen’s floor drains, kitchen sinks, dishwashers, and food disposal systems should be plumbed into your grease trap. As your kitchen’s wastewater enters the grease trap, the sand and dirt sinks to the botom. The grease separates out and floats to the top. There is a baffle wall in your grease trap that should only allow the middle layer of water to pass through to the second grease trap chamber. If you do not regularly pump your grease trap, the grease will build up and clog your outlet port. If your outlet is clogged with grease, the service to fix the problem could be much more timely and costly. The best option is preventative maintenance on your grease trap. 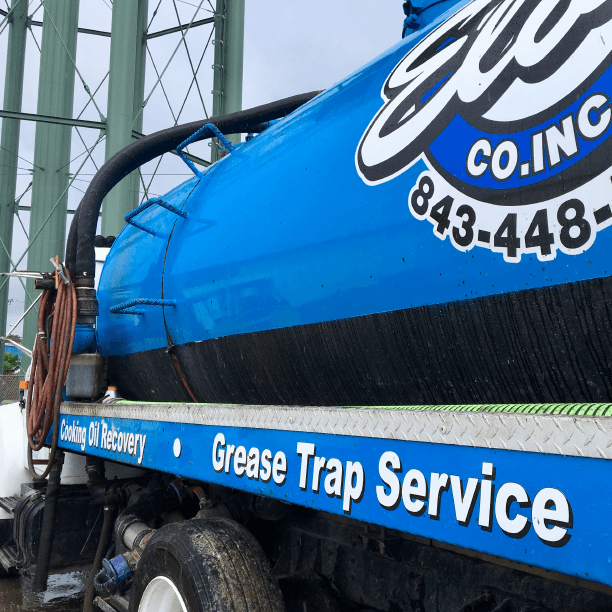 Many people call grease traps by different terms such as grease pits, kitchen tanks, oil tanks, grease interceptors, FOG tanks, and fat tanks. They are all essentially the same in how they operate. Grease traps serve one purpose – to prevent Fats, Oils, and Grease (FOG) from entering into the local sewer. The fats, oil, and grease float to the top of the grease pit (Grease trap) and they are contained inside the tank. The sand and dirt sink to the bottom of the grease trap, and the FOG rises to the top of the grease trap. The water sits in the middle of the grease trap, which then passes through the baffle wall or outlet T of the grease trap and into the sewer. If you do not pump out the grease trap frequently, the FOG level will become more than the trap can handle and the grease and oil will flow out to the sewer or back up your outlet pipe. The FOG can be very harmful to sewer pipes and restaurant drain lines. If you do not pump out your grease trap and make sure the grease trap is cleaned out well, your restaurant will become inoperable. Kitchen drains flow from your building to the grease trap, and these lines will become clogged if the grease trap is not cleaned out properly. Grease Trap Pricing depends on the grease trap size and when the grease trap was pumped out last. Many grease traps need to be scheduled on a monthly pump out, and others may be able to go longer in between servicing. Elvis Service Company will monitor your grease trap and pump when the grease level reaches a point requiring pumpout. If your grease trap needs to be cleaned out, we are local and reliable service ready to help. 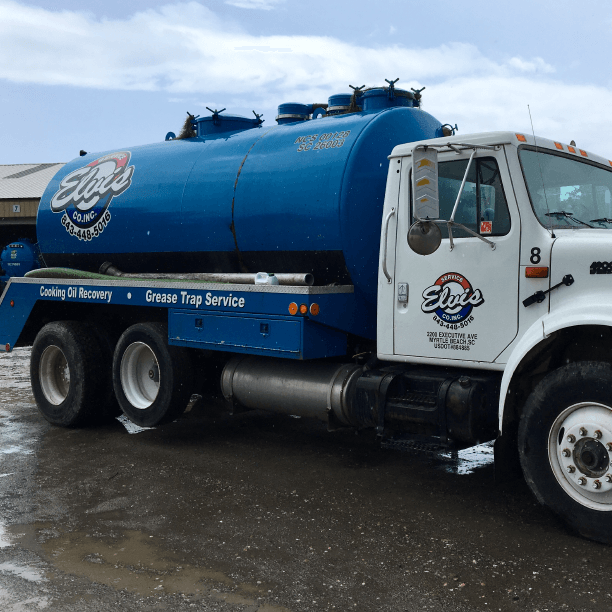 As a local grease trap service provider, we will routinely monitor, service, and pump out your in ground or under sink grease trap. Our technicians will pump out your grease trap, and supply you with the documentation required by your regulator. Our dedicated and well trained technicians will ensure clean and thorough service along with friendly and courteous attitudes. We clean the walls of your trap, pump out all solids and grease, and leave your grease trap in excellent operating condition. 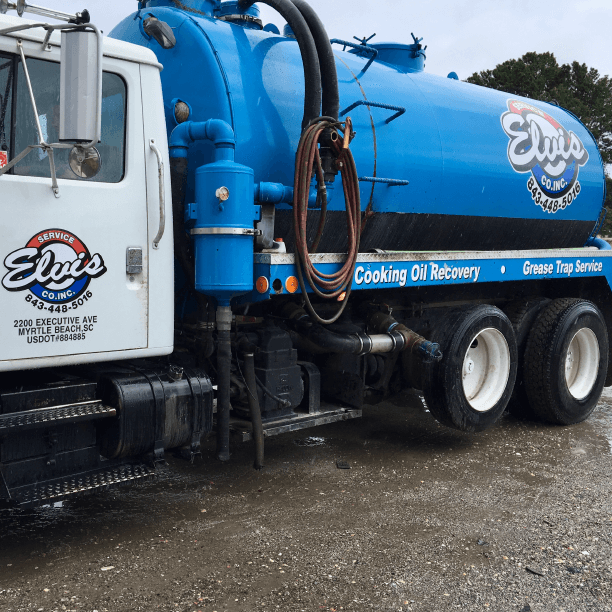 You can always count on Elvis to pump your grease trap on a timely schedule and clean any septic tanks with the best service possible. We offer grease trap pumping and grease trap cleaning in the Myrtle Beach area. We also have many customers in the Florence, Charleston, and Wilmington areas. We have been servicing grease traps and grease intereceptors for fifty years, so our knowledge in your restaurants grease tank is extensive. If you have a question about grease trap prices or when you need to pump your grease trap, please call us today. Pricing grease trap pump outs can vary depending on the size of the grease trap and the interval at which you have it pumped out. A smaller grease trap will be less cost to clean out than a large grease trap. If you need to know the size of your grease trap, or if you just want to know how much the price is to clean out your grease trap, don’t hesitate to contact us! For grease trap pricing, please call us for a FREE grease trap inspection. We will send an experienced grease trap technician to come and inspect your grease trap at no charge. We will provide you with a quote promptly and make sure the price to pump your grease trap is clearly explained. We provide upfront pricing for grease trap pumping and cleaning.